How SilcoTek® Water Repelling Coatings Prevent Moisture Contamination, And Improve Process And Test Reliability. SilcoTek’s inert high temperature barrier coatings prevent surface interaction between critical flow path surfaces and your product. 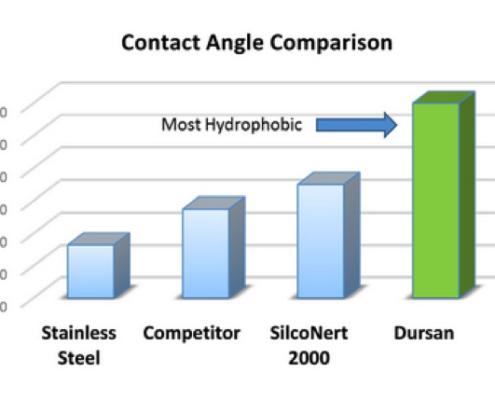 Dursan® improves moisture repelling properties of stainless steel, glass, and ceramic surfaces by 60% or more. Dursan is a durable high tolerance coating that can be applied to complex wetted flow paths without changing part functionality. Please contact us to learn how SilcoTek improves your products.